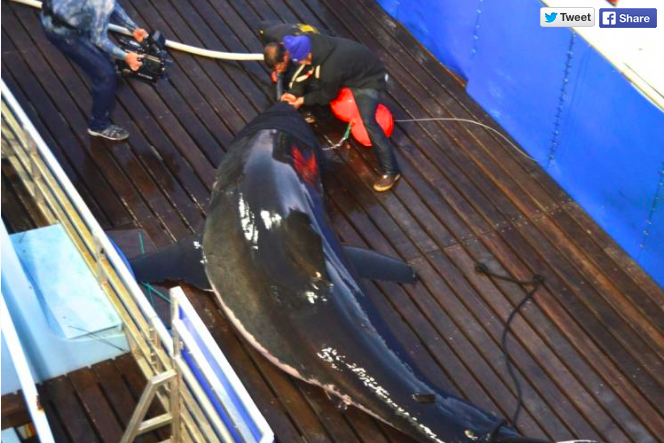 Is Mary Lee the shark headed back to the Jersey Shore? A popular great white shark known to appear off the coast of New Jersey now and again could return to the shore in time for Memorial Day weekend. Mary Lee, the 16-foot-long, 3,456-pound shark, headed west in recent weeks toward Virginia Beach before hooking a right last week toward Delaware and, ultimately, New Jersey. She was most recently tracked off the coast of Ocean City, Maryland on Thursday evening. RELATED: Jersey Shore towns named two best summer vacation destinations in U.S. Since September 2012, the shark's movements have been followed with a GPS tracking device by the nonprofit research organization OCEARCH, which is devoted to studying, tracking and protecting sharks. The tracking device pings the locations of the shark each time its dorsal fin surfaces above water. The great white regularly appears in waters off the coast of New Jersey in its movements along the Eastern Seaboard. Mary Lee made waves on Twitter around the time it appeared near Atlantic City in May 2015. A Twitter account with the handle @MaryLeeShark has amassed more than 100,000 followers and retweets posts about the great white's latest whereabouts. 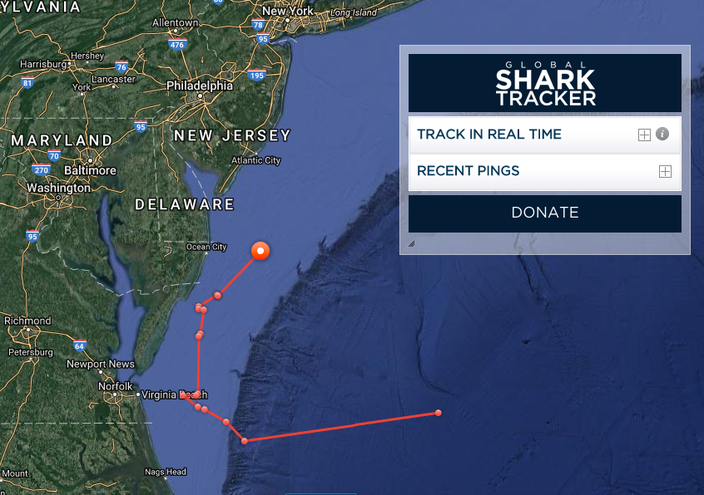 Follow Mary Lee's movements here.